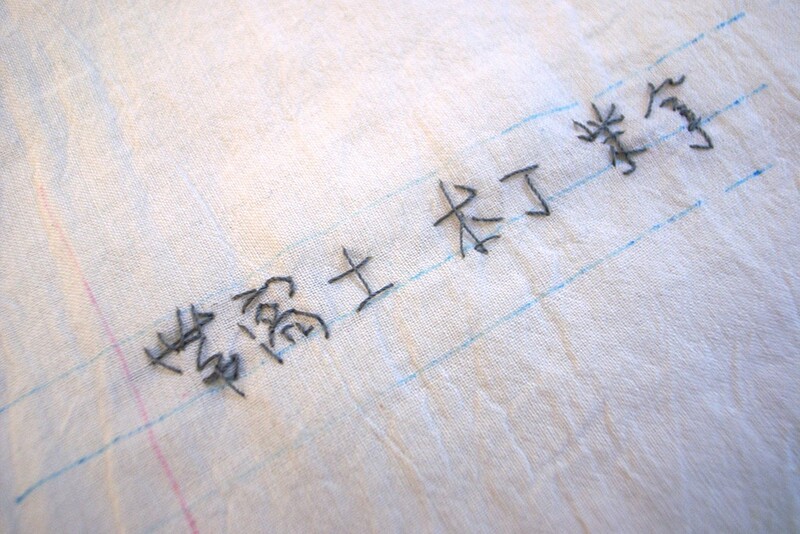 Thread on cotton, mimicking the strokes of Chinese characters. 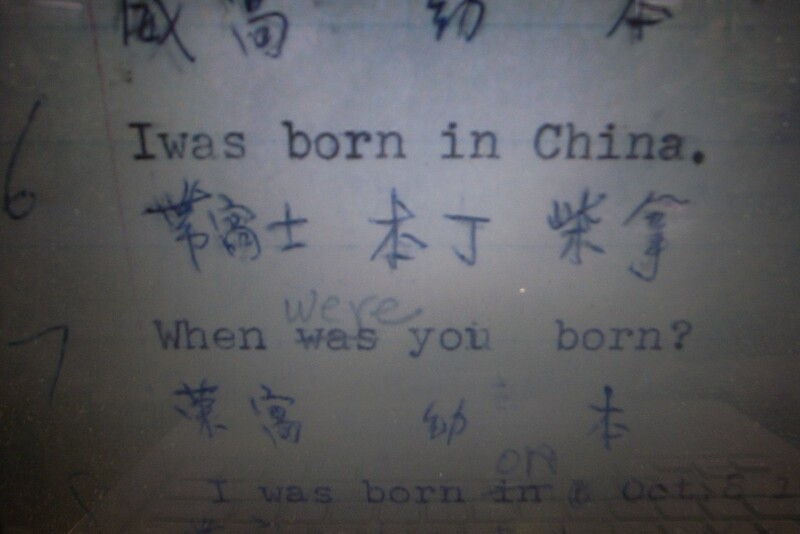 The phrases are from my great aunt’s study guide for US citizenship. 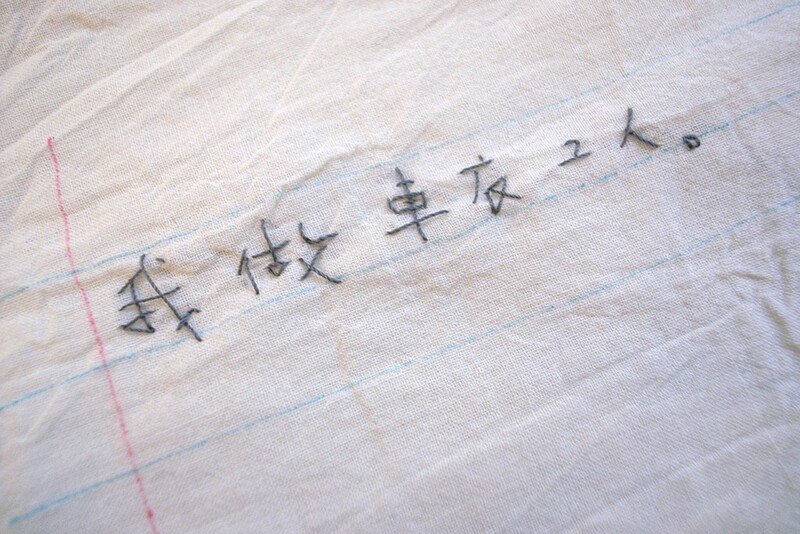 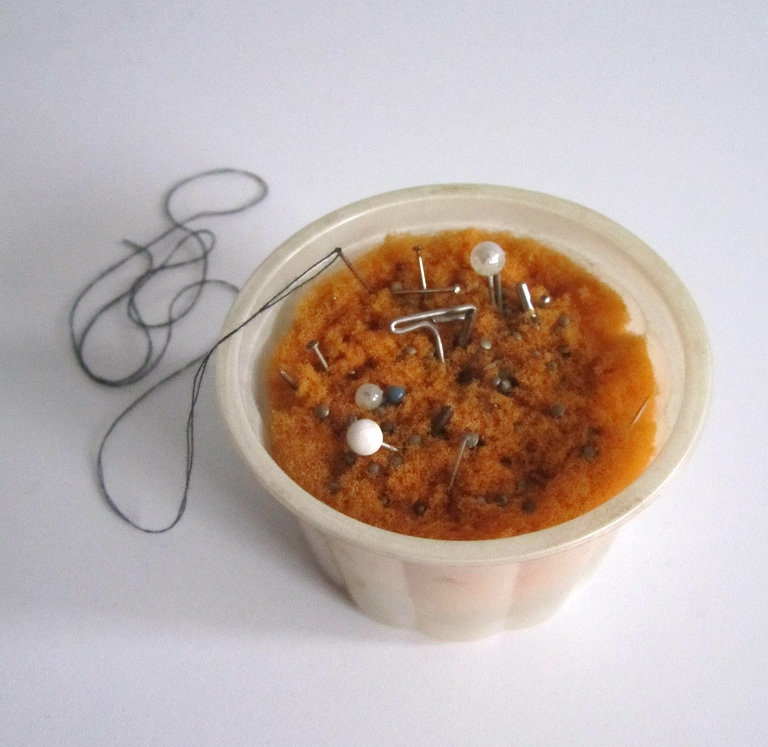 This one reads: I am a sewing worker.